Some teens do it for thrills, some out of boredom and still others on a dare. Whatever the underlying reason, shoplifting is a crime and, in New Jersey, it is one that carries stiff penalties. When facing a criminal charge, a juvenile requires representation by an experienced attorney so that his/her youthful mistakes do not ruin the future. As a former police officer in Elizabeth, NJ, Victor Rotolo is fully familiar with police practices. 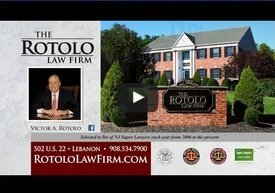 As an experienced criminal attorney, Victor Rotolo is an advocate in the court room. This combination of experiences enables Victor Rotolo to represent juvenile clients. According to a paper released by the Hunterdon County Sheriff’s Department, most shoplifting cases are committed by amateurs, not professionals. Of those amateurs, approximately 24% are teens between the ages of 13 and 17. The most obvious definition of shoplifting is taking something without the intention of paying for it. Under New Jersey law, it is also considered shoplifting if you alter the price of an item; hide something on your person or in something you are carrying so as not to pay for it; or put merchandise in a different container in order to pay a lower price. It is even considered shoplifting if you take a shopping cart from a store without plans to return it. New Jersey anti-shoplifting laws are among of the toughest in the country. Penalties for shoplifting in this State range from up to six months in prison and fines of up to $1,000 to between 5 and 10 years in prison and fines of up to $150,000, with the exact penalty determined by the retail value of the stolen item. In addition to prison terms and fines, courts may also rule that restitution be paid. This restitution includes the retail value of the item, and also could include costs incurred to recover the item, and the store’s legal and court expenses. First-time teen offenders may be released to the custody of their parents. Their cases may be referred to a juvenile office or juvenile court where the penalty would be decided. Although juvenile records are supposed to be kept confidential, the information sometimes gets out and may be seen by schools the teen is trying to get into or even by future employers. Shoplifting is a crime not taken lightly in New Jersey and, as such, it may be necessary for you to seek the services of an experienced criminal attorney. If your teenager is accused of shoplifting, contact Rotolo Karch Law attorneys to receive advice. Protect your rights and your teen’s rights. Call Rotolo Karch Law today.